Everlasting is a dead ringer for the American-created, British-adapted dating programme The Bachelor – complete with the obligatory cheesy, slimy, grinning host. 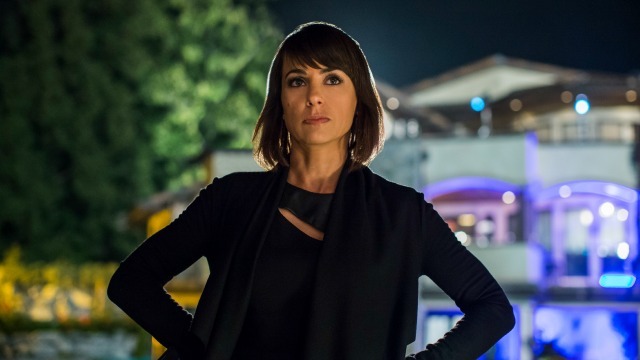 From the first scene, UnREAL pulls no punches about ‘reality’ TV and the effects it has on both the contestants and those behind the scenes. Our entrance into this world is field producer Rachel (Shiri Appleby) – Quinn’s favourite protégée. Rachel is revered for her ability to manipulate the contestants into being good TV. She’s a legend in a business that offers cash bonuses for ‘catfights’ and calls to emergency services. It has been said that TV is currently in an age of the anti-hero, a genre where the morally ambiguous protagonist is explored. Of course, most of these complicated characters who are analysed in such detail are men. However, UnREAL is dominated by female characters and, indeed, allows them to sometimes be complex and unlikeable. For example, Quinn is ruthless, justifying every moral qualm of her staff with “She knew what she was signing up for.” But while she is absolutely willing to ruthlessly destroy a contestant, she is, in her own way, fiercely protective of Rachel, who she sees as a younger version of herself. Rachel is a little more complicated than a naïve ingénue in a “This is what a feminist looks like” t-shirt. Over time, we meet her family and it unfolds that that the simple narrative suggesting Everlasting has corrupted and damaged her isn’t the entire story; she is drawn to this work for her own psychological reasons. It is not spoon-fed to viewers how much Rachel’s unhappiness and mental health are affected by a dysfunctional family situation, by pre-existing illness or by Everlasting itself. When it comes to the male characters, it is almost refreshing to see the gender roles flipped. Playing Rachel’s ex-boyfriend, Jason, the kind yet judgemental cameraman, Josh Kelley is really portraying the ‘supportive girlfriend’ role that women are often assigned on shows such as Breaking Bad and Justified. Meanwhile, Freddie Stroma is Everlasting’s new suitor, Adam. An inversion of the femme fatale, Adam makes it clear that he has no belief in the show’s core fantasy, while providing a blank canvas for the contestants to project their fantasies onto. The idea of fantasy – how they are crafted (especially on reality TV) and how they often press people into stereotypes in pursuit of a pre-planned storyline – is one of the show’s main themes. UnREAL is also candid about how issues such as race and gender can figure in presenting these fantasies to the audience; for example, while women’s roles in society have changed – two contestants are lawyers, one is a sommelier and one is an aspiring entrepreneur – the Cinderella fantasies remain as retro as ever. The most interesting of the show’s male characters is Jeffrey Bowyer-Chapman’s Jay, a black, gay producer who, when asked to provide a villain for the show (for a cash bonus, of course), plays on the racial insecurities of his contestants. He makes it clear that the only way for black women to succeed on Everlasting is to provide cartoon-like villains. “Great work, Uncle Tom,” one sneers at him, while the other decides to go along with his plan, assuming that for a new business owner, any publicity is good publicity. The ethics of feeding into stereotypes regarding black women on TV does not seem to overly trouble Jay. 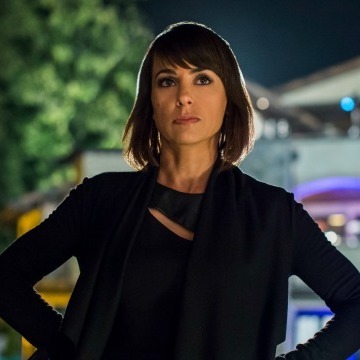 UnREAL’s creators have stated in interviews that they did not have a chance to delve as deeply into ideas about race as they would have liked to in the first season, but that it will be a major storyline in the second season. In this day and age, when so many shows are still reluctant to deal with the lack of diversity on television, a storyline about the process seems embarrassingly unique and refreshing. Similarly, it’s interesting to see Quinn and Rachel, as women, embrace what they believe is the necessity of stereotypes of the genre, repeating “America is racist” and “sluts get cut”, along with the ways they both compromise their feminist ideals to produce this show. Yet in many respects, these characters are still vulnerable to fantasies themselves: Quinn is sufficiently swept away by the romantic proposal of her still-married, self-absorbed boyfriend to ignore all the warning signs of his selfishness within the relationship. Meanwhile, Rachel is well aware of the hollow nature of Adam’s attention (“luckily for us, he’s a damn good liar”, she snarks at one point), but still fantasises about building a real relationship outside of Everlasting together – a fantasy she mocks when the show’s contestants express a belief in living happily ever after. It seems even women who spend their lives manufacturing fairy tales can be led to find them insidiously appealing. Overall, the Everlasting contestants themselves manage to emerge as real and complex characters and UnREAL serves as a stark reminder of how reality TV turns people into one-dimensional players. When attempting to create a storyline, Quinn works with her team to manipulate footage: “Without context, she just looks crazy!” she hisses. Without context, these women can be stripped of their complexities and turned into superficial characters steeped in disablist and sexist stereotypes – something to keep in mind when next watching a reality show. UnREAL has aired on Lifetime UK. You can still catch the series on Google Play (among other providers).